Whenever we highlight our eyes, we want to make as much use of each of the cosmetic tools to create a chic look. Sometimes, however, all these cosmetic products make us frustrated, since they tend to crease pretty soon. There is nothing unpleasant than to have a smudged look, which seems to be an inseparable part of the heat impact. Not only does your face look oily, but your eyes look as if you are wearing yesterday’s makeup. It really leaves an unaesthetic impression on the people surrounding you. So try your best to make sure you have applied the makeup in such a way that it keeps its effect for several hours at least. 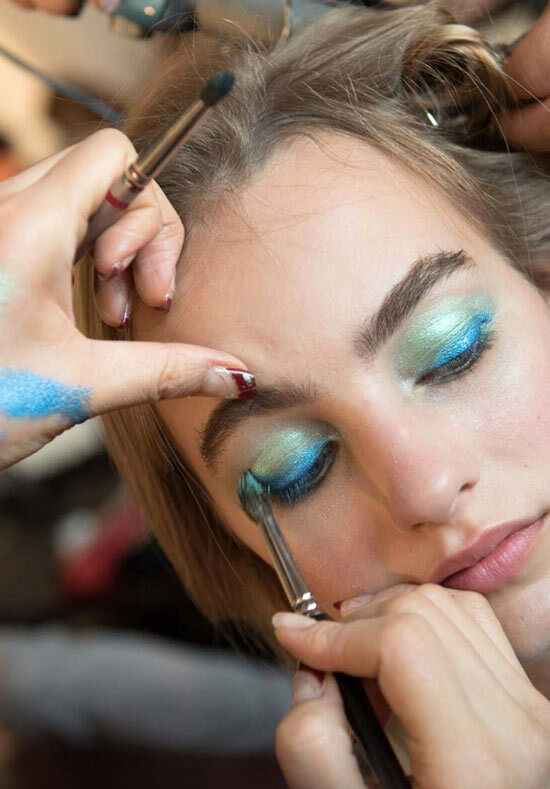 To learn techniques to keep your eye shadow from creasing, follow the beauty tips below. When applying the eye shadow, start with clean skin. You know that in case of applying a foundation, you normally use a moisturizer. For lids, however, no need to use it. Escape this step not to have the natural oils affect makeup’s staying power. Make sure your lids are completely dry. If they are wet before the application procedure, you will have unwanted lines appearing on the crease part. Some people suggest using a mattifying cream on the upper eyelid area, which will help keep oil at bay. Better apply foundation on the eye area. It will make the shadow last long and look smooth. It is applied on a base that will hold it and not let come down fast. Feel free to use a primer as well. This is the secret of avoiding creasing. It creates the perfect canvas for the shadow. Choose between matte or cream eye shadows, but always finish the makeup with a powder layer. It is impossible to reach a fantastic look with several layers of eye shadow using a powder shadow. It is best resulted only by a cream one. Apply the first layer of the eye shadow with a convenient brush. If you are having several layers, go on applying the eye shadow in even layers. Once finished apply the translucent powder finish, which will make the layers last long. Use the color of the powder shadow that is similar to the cream shadow. Or you can get the same result with a cream-to-powder formula instead. • The best solution is not applying eye shadow on the entire eyelid, but on some part of it only. • Apply a light color under the curve of the brow and in the inner corner of the eye leaving the lid empty. This will give the illusion of a more made-up eye. • Apply powder shadow only one third part of the eyelid with an angle brush. • If you want to have a smokey effect, press shadow liner into the upper lash line, making sure to get in between the lashes. Now you can feel safe that your eye shadow will not crease easily. Do your best to avoid any makeup mistake that adds oil to your face. Opt for oil free products and feel at ease whenever it is too hot or you are in motion.